Dorset photographer and author Roger Lane is perhaps best known for his Dorset landscapes, and books including Cranborne Chase – a secret landscape. In complete contrast he has now self-published a book featuring some of his colourful motor racing images from almost fifty years ago. As a keen amateur photographer, Roger was given a unique opportunity when he was commissioned byAgfa Gevaert to photograph the colour and atmosphere of international motor racing. 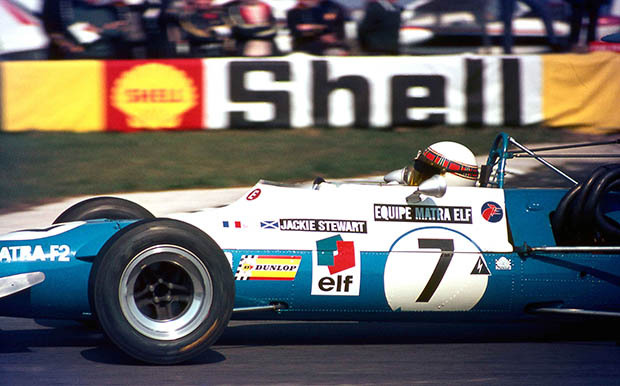 This enabled him to photograph the motor racing scene at Silverstone, Brands Hatch and the new Thruxton circuit in 1968, 1969 and early 1970. 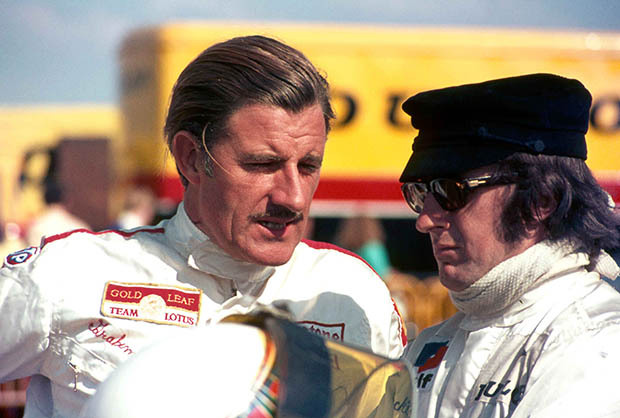 Fifty years later his now historical motor racing images of Thruxton, including the drivers of the time – Jackie Stewart, Graham Hill and Jochen Rindt can be seen again. Alongside photographs from the BARC motor racing archive, Roger’s new book brings alive the atmosphere of those halcyon days at a circuit which became the fastest in the UK and which celebrates its 50th anniversary in 2018. In this book, Thruxton Revisited the reader can experience the history of the BARC from Brooklands, Goodwood and Thruxton. featuring the atmosphere of motor racing in the late 1960’s. The book also contains amusing reminiscences from Grahame White, the circuit’s first Clerk of the Course and now CEO of the Historic Sports Car Club. Experienced racing driver and motoring TV presenter Tiff Needell recalls his first races and wins at Thruxton and takes the reader on a fast lap around the circuit and Thruxton’s Managing Director Bill Coombs describes the history of the circuit and its plans for the future. With race reports from the action of the early meetings and Roger’s colourful images, first hand accounts of his experiences both beside the track and behind the camera, this book is a great way to celebrate Thruxton’s 50th anniversary. The circuit celebrated its 50th anniversary over the weekend of 2nd and 3rd June 2018 with a full programme of historic and classic racing when Nigel Mansell CBE the 1992 Formula 1 World Champion, and Murray Walker OBE much-loved veteran F1 commentator opened the Thruxton’s new £2 million state-of-the-art hospitality facility. Thruxton Revisited is available to view and purchase through Roger’s website www.rogerlanephotography.com.